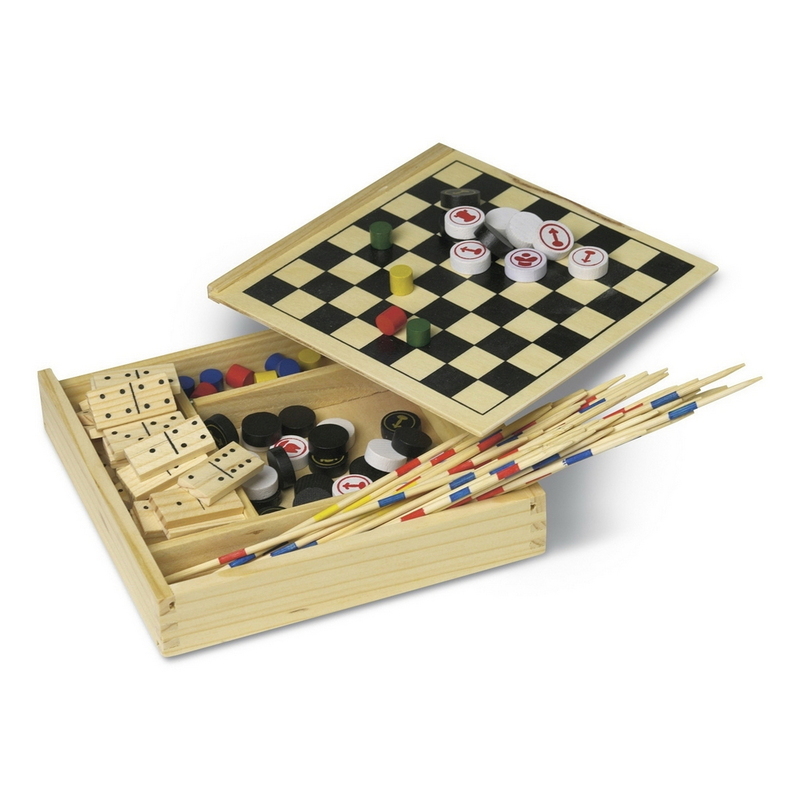 5-piece-game set-in wooden box. With Domino, Mikado, chess, chinese checkers, person does not annoy you. Product dimensions: 16.7 x 16.7 x 2.8 cm. Prices incl. Laser engraving on one side of the wooden box!